Your roof is only as good as the roofing materials chosen for it. When installing a roof, the most important roofing equipment you will use is the different materials that you will lay down. Each type has its advantages and disadvantages and it is important that any homeowner who is looking to install a new roof understands roofing materials basics and make a decision based on what will work best for them. The first step in choosing roofing materials is to decide which type will work best for them. 1. Use asphalt shingles for a cost-effective, easy-to-install roofing system. 2. Think about metal roofing material for a roof that will last as long as the building does. 3. Take advantage of energy-efficient rubber roofing material. 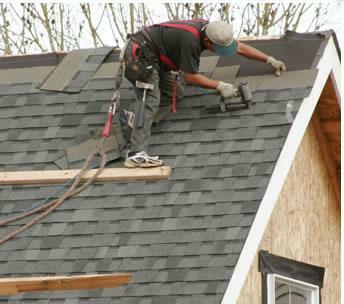 Consider roofing materials such as asphalt shingles for a low-cost roofing option Asphalt shingles are one of the most popular and widely-used roofing systems for buildings today. They are economical and easy to install. There are two types of shingles: fiberglass and organic mat. Organic-mat shingles tend to be tougher than their fiberglass counterparts are, but the fiberglass ones are lighter and have a better fire rating. Since both kinds of roofing materials have their positives and negatives, it is important to weigh all of the factors when choosing shingles for your business. Install a metal roofing system for a long lasting solution Whether you are looking to replace industrial roofs or residential ones, metal roofing materials are becoming more popular. Metal roofs can be steel, aluminum, copper, stainless steel or alloys and usually last as long as the building does. They also have a great fire rating. On the other hand, a metal roofing system is more expensive than other types of roofing materials, yet experts say when used for commercial roofs, the owner will make the initial investment back just by staying in the building for an extended period. Keep your ceiling dry all of the time with durable rubber roofing supplies Rubber roofing materials are sturdy, and energy efficient. Since suppliers of roofing materials often make them out of recycled materials, they are environmentally friendly as well. A rubber roofing system is a great choice for commercial roofs as they require very little maintenance and are perfect for the flat roofs that industrial buildings often have. Be sure to discuss the warranty options with the company who installed the roof ahead of time. Since some roofing materials last longer than others, it is important to know how much coverage, if any, you have, in case repairs have to be made later on down the road.